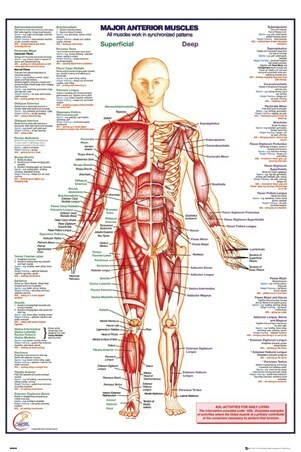 Explore the major anterior muscles of your body in more detail than ever with this fantastic poster. 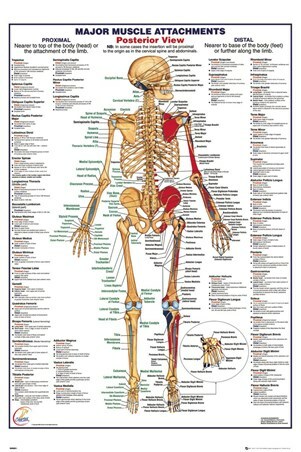 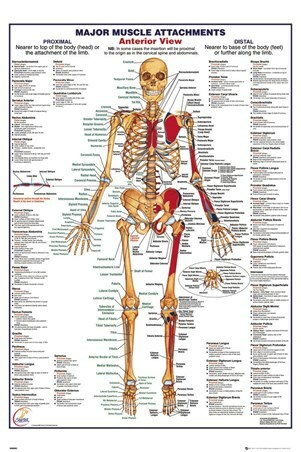 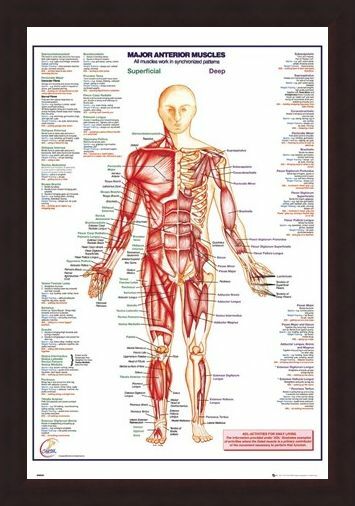 It features a diagram of the human body from a front perspective, and lists all of the superficial and deep muscles within it, as well as highlighting exactly where they are located. 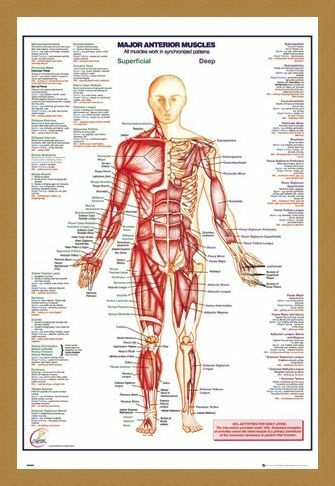 With information also detailing how these muscles are used during sports and weight training, this will make the perfect addition for those who are studying biology, sports therapy or who are simply looking to learn more about how their body moves. 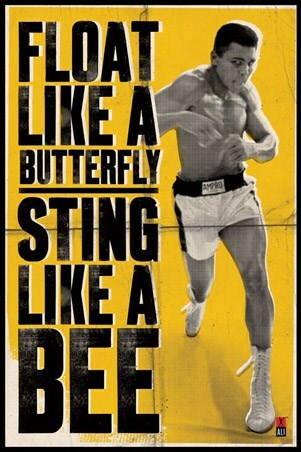 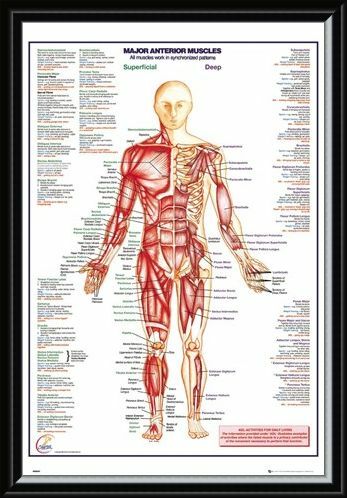 High quality, framed Major Anterior Muscles, Human Body poster with a bespoke frame by our custom framing service.